Lindsay picked up yoga about 5 years ago and was hooked from day one. Not only was she head over heels for yoga because of it's physical benefits but for the psychological benefits as well. Her goal is to travel to several different countries someday soon and get her yoga teacher certificate along the way. 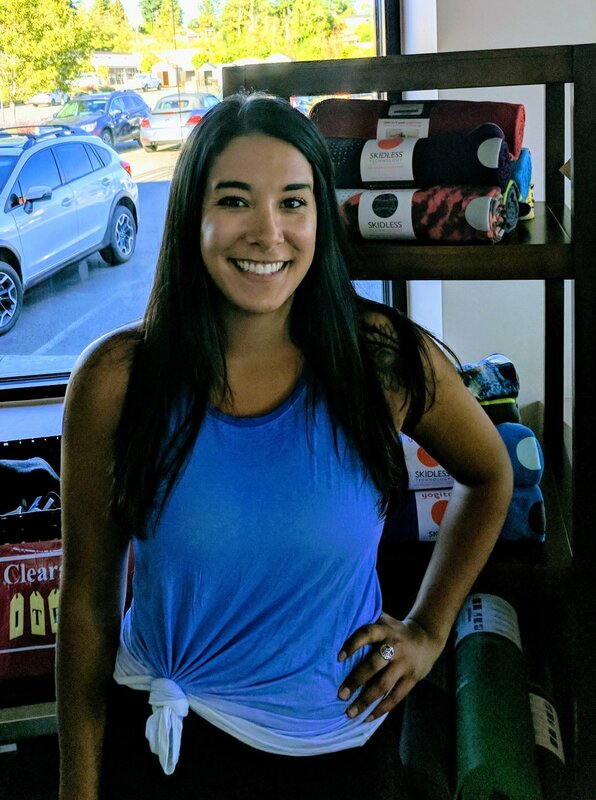 She graduated with a Kinesiology degree from Western Washington University and is currently working as an exercise specialist at a physical therapy clinic in Snohomish. You can usually find Lindsay out camping, kayaking, or relaxing in a hammock with one of her favorite reads. Parks and Recreation is her all-time favorite show. She is obsessed with Mexican food, especially cheesy gordita crunches. She taught herself to juggle in the third grade. IPAs are her beer of choice. Join Lindsay for class at Kulshan!